What I have to offer about this shortcoming and its implications, below, will I’m sure strike more than a few readers as restating the obvious. Yet, and surprisingly, sometimes even obvious-seeming propositions, when some of their implications are extracted, can generate new conclusions and a counterintuitive perspective on an old topic. 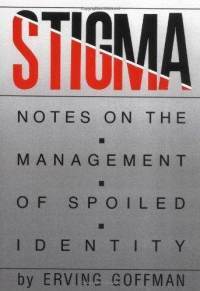 That’s what I have in mind for this post on stigma. Let’s see how it works out. 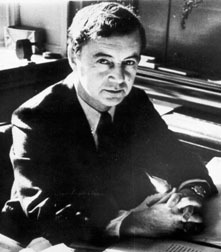 Active alcoholism is certainly subject to social stigma; the drinking alcoholic, in sociologist Erving Goffman’s evocative words, occasions a “spoiled identity.” On the other hand, the alcoholic in recovery may be said to gain a modicum of social credit or approbation. Hence, the stigma situations of the active and the recovering alcoholic are sharply different. Indeed, when viewed through the lens of stigma, the individual alcoholic’s transition from active alcoholism to recovery – whether through the medium of treatment, “spontaneous remission,” Alcoholics Anonymous membership, or by any other means — amounts to a stigma exchange, leaving behind the opprobrium attached to active alcoholism and exchanging it for the new social credit attached to recovery. It follows that the stigma on active alcoholism — contrary to the prevailing view — may actually help push the active alcoholic toward treatment or recovery, both in order to rid himself of active alcoholism’s stigma and to embrace the benefits of a new “in recovery” status. Not all active alcoholics respond to stigma in the same way of course; nor might any given alcoholic respond to stigma the same way in different life situations or at different times. Yet, and from vantage point I’m suggesting, stigma may play a positive role in recovery. In this sense, then, stigma may impell active alcoholics toward treatment or recovery as much or even more than it putatively thwarts or poses a barrier to treatment or recovery. 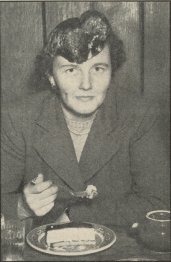 Mrs. Marty Mann held that the disease conception of alcoholism provided a great social change instrument by which alcoholism’s stigma could be reduced or eliminated. Yet, clearly differentiating the stigma situations of the active and recovering alcoholic has implications for Mann’s great thesis too. To the extent that the disease concept supplied a quasi-medical explanation for alcoholism it also harbored some of the implications of Talcott Parsons’ famous “sick role” for the alcoholic. The doctor-patient relationship, as Parsons memorably pointed out, held role obligations for the patient as well as for the doctor. For example, the patient must want to get well and must follow doctor’s orders in furthering a recovery. This aspect of the sick role, I suggest, can relatively heighten, rather than relatively reduce, stigma. With the emergence and widespread social acceptance of the alcoholism-as-disease idea, the alcoholic acquired in effect a Parsonsian positive duty to recover. The active alcoholic who resists or rejects that duty, in turn, acquired the added opprobrium attaching to that resistance. The concept of denial and the added negatives it brings to the resistant alcoholic’s identity gained gravity in a world where the disease concept had become widely accepted. It bears noting, in passing, that the conceptual content of A.A.’s allergy-like formulation of the disease concept of alcoholism also harbored stigma-enhancing potentials. In A.A.’s and Dr. Silkworth’s allergy model of alcoholism, it will be recalled, the alcoholic retained moral control over choosing to drink the first drink but lost control with subsequent drinks. This is a conceptual framework with obvious moral implications. Taken at face value, the alcoholic’s choice to drink the first drink, hence, became invested with heightened moral meaning. The alcoholic who chose to take that first drink in effect turned his back on both the paradigm that offered a path to recovery and the good people who offered this prospect. It might be added, as well, that the very idea of a stigma-free social environment for active alcoholism – if that were Mann’s utopian vision for a post-disease concept society – has never been one I could quite get my brain fully around. What would such a world look like? I think, for example, of the delicate situation of a daughter bringing home her fiancé to meet her parents for the first time. What if he’s an alcoholic? How would the introduction go with respect to that aspect of his identity in an alcoholism-has-no-stigma world? Mother looks on with small but satisfied smile. One thing this imagined scene illustrates, I think, is that the subject of stigma is riven with numerous nuances and complexities. Even suggesting the notion of a zero-stigma social environment may involve the need for numerous meaning specifications along those nuance dimensions. Moreover, the different kinds of stigma on, say, cancer, divorce, HIV, drug addiction, and alcoholism may also vary significantly along those meaning dimensions. All of which provides excellent fodder for further thinking and investigation. One final conundrum might be mentioned. Marty Mann and to some extent the Fellowship of Alcoholics Anonymous have proffered the disease conception as an antidote to social stigma. Yet A.A.’s famous 12 Steps provide a well-defined program for the moral re-invention of the self. The Steps address, in part, the bad behavior, the harms, and the pain the active alcoholic was responsible for in his drinking days. In effect, then, A.A.’s vision of active alcoholism is one that leaves a trail of hurt and harm behind it. This vision, in turn, raises a provocative question, namely: Why shouldn’t the active alcoholic, in A.A.’s perspective, be stigmatized by the wider society? After all, stigma affords a measure of symbolic warning and protection for people in the alcoholic’s surrounding social environment. Summing up, then. I’ve suggested that clearly differentiating the stigma situations of the active and recovering alcoholic allows for a telling re-interpretation of the meaning of alcoholism’s stigma with respect to, among other things, treatment willingness and the meanings and implications of the disease concept of alcoholism. I’ve suggested that alcoholism’s stigma may be a force driving active alcoholics into treatment or recovery. I’ve suggested that the disease concept of alcoholism and its widespread acceptance in society and its sick role implications have double-edged effects on alcoholism’s stigma. I’ve suggested – via my imagined meet-the-parents vignette – that a truly stigma-free social environment respecting alcoholism may be difficult to configure. Finally, I’ve suggested that, in effect, active alcoholism in the A.A. perspective may well deserve at least some of its burden of stigma. The above offers a view on alcoholism’s stigma that differs markedly from the conventional wisdom. It might be noted that the ideas and the conceptual perspective I’ve suggested in this article – all stemming from the premium I’ve placed on differentiating active from recovering alcoholism – are eminently researchable. Indeed, it’s a pity they haven’t been researched since the time when I first raised these ideas — in the late 1970s. But I haven’t given up hope of that prospect. Not yet! I received a friendly email from Prof. Paul Roman yesterday in response to this post. He pointed out that the divide between the moral definition of the “active” and “recovering” alcoholic was a focus of a 1970 paper he and Harrison Trice published in the journal Social Problems (Trice & Roman, “Delabeling, relabeling, and Alcoholics Anonymous,” Social Problems 17:538-546, 1970). Trice and Roman’s paper focused on the apparent efficacy of A.A.’s delabeling enterprise, esp. when contrasted with considerably less successful delabeling potentials associated with mental illness and drug addiction. Aside from once more demonstrating that there is no new thing under the sun, Trice and Roman’s article would have made a very nice buttressing citation in my blog post, specifically in relation to its emphasis on the de-stigmatized status of the recovering alcoholic. I thank Paul for this reminder and highly recommend the 1970 article to anyone who may wish to follow-up on the stigma on alcoholism topic. Ron, do you think that AA and the Big Book had an influence on the stigmatization of wives? The “To the Wives” and “The Family Afterward” chapters have a negative tone not typical of the time. Having had a spiritual transformation, the alcoholic was way ahead of his wife, who lacked the material for a good deflation-at-depth narrative. There were other factors, primarily depth psychology and the Momism of the 1950s, involved in the process of making wives “sicker than” their alcoholic husbands. But I’ve wondered how much Bill Wilson contributed. Laura, Thank you for your comment. My answer, I’m sorry to say, is I don’t know.